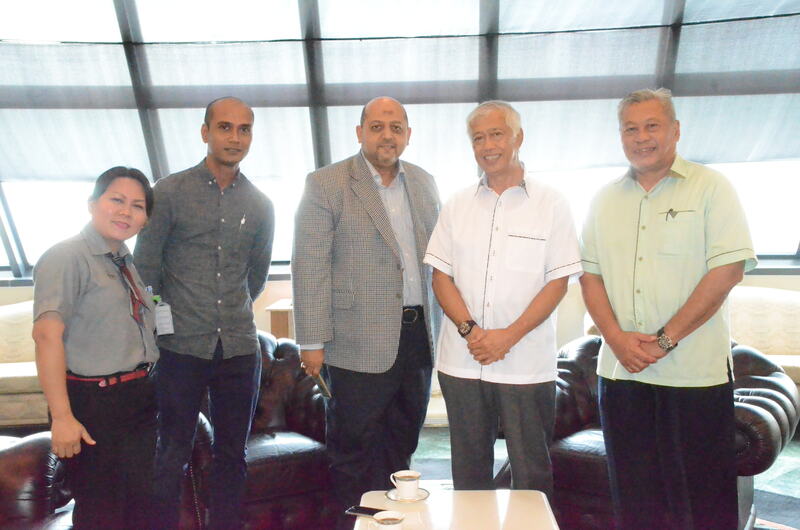 KUCHING: A delegation of three top management individuals from McDonald Malaysia, led by Dato’ Haji Mohd Nasir from Kuala Lumpur, paid a courtesy visit to Kuching North City Commission (DBKU) mayor, Datuk Abang Wahap Abang Julai, at his office yesterday. The purpose of the visit was to introduce the company’s top management as well as to discuss on several matters that involved the local community. Dato’ Haji Mohd Nasir (third left) together with DBKU mayor, Datuk Abang Wahap Abang Julai (second left) and others during the courtesy visit to Wahap’s office in DBKU yesterday. McD Malaysia’s top management pays a courtesy visit to DBKU mayor 0 out of 5 based on 0 ratings. 0 user reviews.